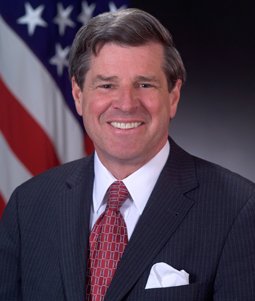 Ambassador L. Paul Bremer, III was named Presidential Envoy to Iraq on May 6, 2003 and in that capacity he served as the Administrator of the Coalition Provisional Authority and spearheaded the coalition in building the new framework of Iraq. Ambassador Bremer accomplished his mission on June 28, 2004 when he successfully handed over power to the interim government of Iraq. During his 23-year State Department career, Ambassador Bremer served as Special Assistant or Executive Assistant to six Secretaries of State. His overseas assignments have included service at the Embassies in Afghanistan and Malawi and service as Deputy Chief of Mission at the American Embassy in Norway. President Reagan named him as Ambassador to the Netherlands in 1983 where he served for three years. Ambassador Bremer also served as Executive Secretary of the State Department and was President Reagan's Ambassador at Large for Counter Terrorism. Ambassador Bremer is one of the world's leading experts on crisis management, terrorism and homeland security. In September 1999, the Speaker of the House of Representatives, Dennis Hastert, appointed him Chairman of the National Commission on Terrorism. In June 2002, President Bush appointed Ambassador Bremer to the President's Homeland Security Advisory Council. He has also served on the National Academy of Science Commission examining the role of Science and technology in countering terrorism and chaired a Heritage Foundation study, "Defending the Homeland". During his career, Ambassador Bremer has received the State Department Superior Honor Award, two Presidential Meritorious Service Awards and the Distinguished Honor Award from the Secretary of State. He is a member of the International Institute for Strategic Studies, and The Council on Foreign Relations. Prior to being in Iraq, Ambassador Bremer was Chairman and Chief Executive Officer of Marsh Crisis Consulting Company, a crisis management firm owned by the financial services firm Marsh & McLennan. From 1989 to 2000, he was Managing Director of Kissinger Associates, a strategic consulting firm headed by former Secretary of State, Henry Kissinger. Before rejoining government, Ambassador Bremer had been a director of Air Products and Chemicals, Inc., Akzo Nobel NV, the Harvard Business School Club of New York and The Netherland-America Foundation and a Trustee of the Economic Club of New York. Ambassador Bremer is the Founder and President of the Lincoln/Douglass Scholarship Foundation, a Washington-based non-profit organization that provides high school scholarships to inner city youths. Ambassador Bremer received his BA from Yale University, a CEP from the Institut D'Etudes Politiques of the University of Paris, and an MBA from Harvard Graduate School of Business Administration. His languages are French, Dutch, and Norwegian.